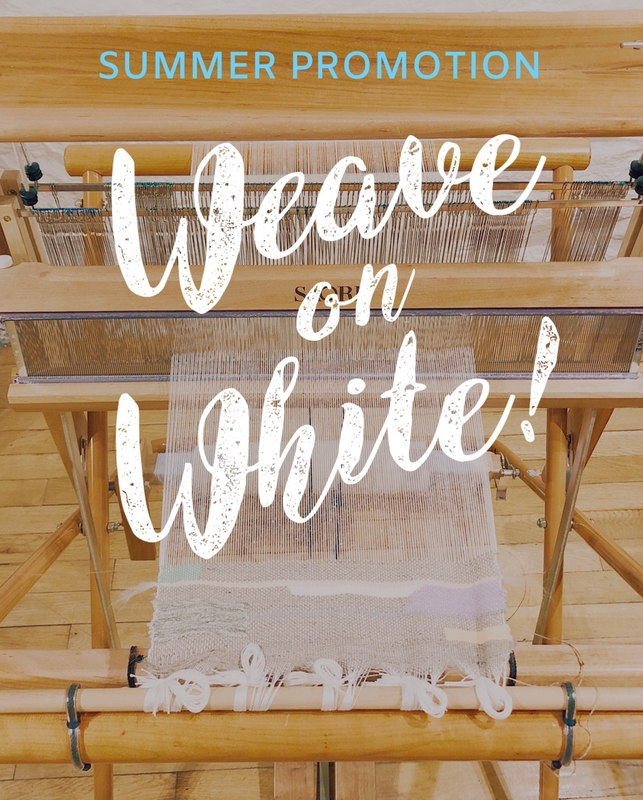 Weave with light and bright colors for summer on our popular white warp during our campaign through 9/2/2018. This summer Loop of the Loom will serve looms pre-set with white yarn for the first time with the same price as our regular black yarn looms. There is no extra charge! This offer is valid for our customer who reserves a beginner session: 2-hour Intro Session or Mindful Zen Weaving Session. Must reserve it in advance online and choose the color of the warp from the drop-down menu when booking. Come to weave a piece of home decor reminiscent of white sand beaches and bright sunlight. Enjoy this limited time opportunity at Loop of the Loom!